Should You Turn Yourself in to Police or Run Like Hell? Should you turn yourself in to the police? If you’ve committed a crime and are worried about whether you should turn yourself in to police, take a deep breath and try to think rationally. Depending on the crime, there could be room for leniency, however, panicking and confessing to the police is not the best route you should take. Confessing to your hired attorney is a better choice. As si hiring a bail bondsman before you turn yourself in to the cops. Should you turn yourself in to police… or run like hell? Even if you feel bad about what you did, unless you expect to spend the rest of your life behind bars, you will want to rehabilitate yourself eventually. If a rehabilitated future is one you hope to have, don’t immediately go to the police. You will have to go to them eventually, but don’t jump the gun just yet. If a warrant for your arrest has been issued, police will try to find you and detain you as soon as possible. You should turn yourself in, but only after seeking proper legal counsel. Tell your story to a criminal lawyer and they will try to work things out for you. Criminal defense attorneys aren’t allowed to testify against you, as there is a code of confidentiality restricting them from doing so. If you do not wish to turn yourself in after speaking to a lawyer, they cannot go to the police unless you ask them to. Going to a lawyer will help you understand the severity of the crime as well as helping you cope with it. Increase the chance of getting lowered bail or even free bail: or Release on Recognizance or ROR, is a way of getting free bail by avoiding being detained until your court date. Your lawyer will have to convince the judge that you are not a flight risk, meaning you won’t run away. However, if you killed or severely injured someone, or are a major drug dealer this may not be an option. Depending on the severity of the crime, this act of good behavior could get you a very good deal. With it, you could avoid jail time, receive a suspended sentence or do a minimal amount of jail time. If involved in a hit in run, when you turn yourself in to police may increase the chance of indemnity. Typically, insurance companies won’t offer to pay your legal dues if the person you hit with your car wants to sue you. Taking responsibility puts you in good faith with the company. Remember, there are no time limits on arrest warrants. You cannot hide out until the statute of limitations expires because it will not. So turning yourself in to the police, sheriff or US Marshals might be a better option. You should always consult a criminal attorney when considering your legal future. Consult with an attorney first. Let them know what is happening and be completely honest with them. Their job is not to judge you, their job is to represent you. Consult with a bail bondsman to do a warrant walk through (if a warrant has been issued) – If you’re talking with an attorney, there probably is or will be. 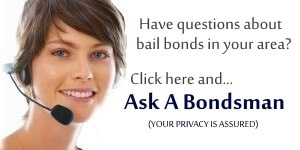 Find out if the bondsman you are talking with does warrant walk through. This will help you get out of jail quickly. Having your bond paperwork in order and prepaid will have you out the door in no time. When considering if you should run from the law, and be on the lamb forever looking over your shoulder… or, turn yourself in to police, the obvious choice (in our opinion) is to seek quality, professional legal advice and always pair that with a licensed bail bonds company. PreviousPrevious post:Statute of Limitations on WarrantsNextNext post:How to Get Bail Bond Money Back From a Friend? Consulting a reliable bail bondsman and a good lawyer is very important when turning yourself into the police. More importantly is being able to walk out of any jail with a good bail bondsman at your side. I think its also important that if you need bail bond loans, call around to get a good deal.